Just like deer and moose in other parts of the globe, kangaroos cause a huge havoc to car occupants when bounding across roads in Australia. Aiming to minimize the damage caused by these animals, Volvo is currently working on technology for its vehicles that spots them and brings the car to a stop before the occurrence of a crash. According to Volvo, there are over 20,000 crashes between kangaroos and cars in Australia every year. This leads to grave damage to humans, vehicles and animals involved, so as part of the automaker’s vision to have zero casualty or zero severe injury in a new Volvo car by 2020, it is charting new territory with the kangaroo detection technology. It is an adaptation of Volvo’s existing technology called City Safety system, which detects cars, pedestrians and cyclists. While City Safety is enhanced for city driving, the animal detection version is designed to work at highway speeds. The grille is equipped with radar that constantly scans the road ahead, looking out for any moving objects. 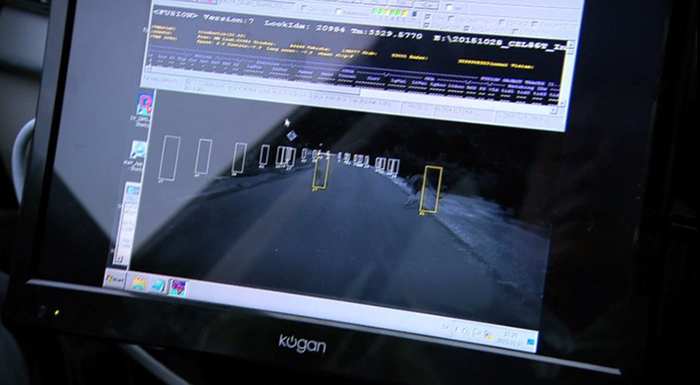 There is also a light-sensitive, high resolution camera in the windshield that works in synch with the radar to determine the way the object is moving and passes the information onto an onboard computer that crunches the numbers. City Safety churns through 15 images every second and is said to respond to an emergency situation in half the time a human does. According to Volvo, it can identify danger and hit the brakes within 0.05 seconds, compared to the 1.2 seconds it takes drivers. Volvo has been doing research in Europe on animal detection for some time, though with slower and more cumbersome animals such as moose and cows. Adult kangaroos, which are huge and move very quickly, pose another challenge for the Volvo research team.